NCCU coach used the media to send a message not to be taken literally. It was probably the smartest thing he’s said all year long. 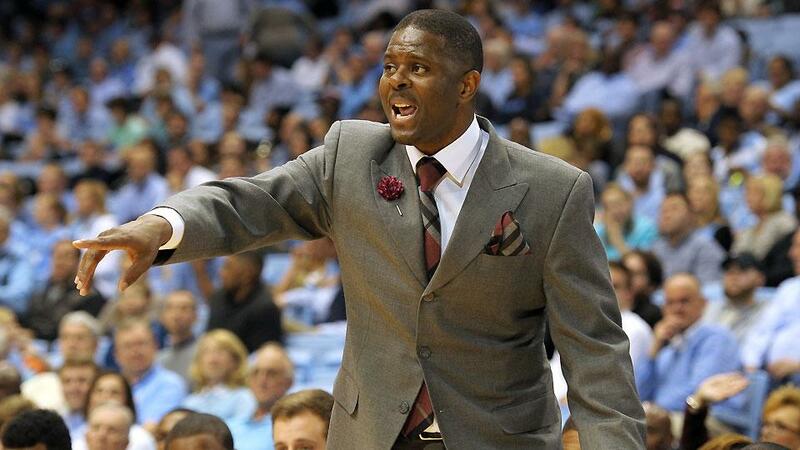 I’ve known North Carolina Central University basketball coach LeVelle Moton since the 1980s when he was five-foot-nothing sixth-grader. There have been two things that have been consistent throughout his entire life. He loves to make people laugh with his jokes and he’s super intense about the game of basketball. Those two things often stand at the juxtaposition of one another but he’s mastered the art of hitting the proper switch at just the right time. So the recent hot take by Sports Illustrated (and others) that Moton is afraid of Zion Williamson and Duke University was much ado about nothing. It was click bait fodder for a week when sports outlets have to clamor and elbow for attention as the world starts to truly care about college basketball. I’m not all that mad about everyone running with what he said. That’s juicy stuff for the judgmental glass house that sits at 1 Twitter Place. However, it lacks a couple of things, mainly context. I wasn’t in the room when this barb was thrown out but I can visualize the tone because this was just Moton being Moton. A joke to get everyone laughing and on a subconscious level a Jedi Mind Trick for the NCAA committee. The soundbite came out on Saturday, after the Eagles won the MEAC but before the tournament pairings were even announced. However, by the time the masses consumed the bite it appeared to be a reaction to the seeding. Coach Mike Krzyzewski and Moton are friends and have been for quite a while. I would bet my entire life that if NCCU beats North Dakota State, Coach K would go out of his way to glowingly endorse Moton as a coach and NCCU as a program. Coach K doesn’t need any more television exposure. He wants that check and that trophy, end of story. It would be his pleasure to help shine a national spotlight on the Eagles and that would be exposure the Eagles couldn’t pay for even if they wanted to. So yes it’s no coincidence where they fell in the bracket. The NCAA is smart enough to know it’s a great story line to see cross town neighbors who are on the opposite ends of the college basketball spectrum potentially play one another. It’s the overused analogy of David vs Goliath or the haves versus the have nots. Naturally the media is going to fast forward to that scenario of Tobacco Road mystique at the expense of North Dakota State’s chances. Darren Rovell posted a gem on Twitter noting that the price of parking for a full season at Duke basketball games equals the price of season tickets for the North Carolina Central program. NC Central will play-in for a right to play Duke. $200: Cost for a season parking pass for Duke Basketball. $210: Cost for season tickets, including donation, to NC Central men’s basketball. NCCU has already won the only championship they’ll get this year. It’s a different game right now and one that can have multiple winners. So Moton just did what any forward-thinking coach would do, he put his team in the best position to win. We are talking about raking in the free exposure that Mid-Majors die for at this time of the year. He chose to do it with a tongue in cheek statement. What’s unfortunate is that he wasn’t given the leeway that most gregarious coaches are given. It was just a joke. No one even blinked an eye, by Roy’s standards that was a “run of the mill” backrub for his opponents through the media. One would have been ridiculed to no end if they tried to make that a salacious headline. With the same variables at play instead we were served a photo of Moton sitting on the floor by the scorer’s table looking half asleep and defeated. With the photo converted to black and white it reminded me personally of some old vaudeville negative stereotypes of black men always sleeping and being lazy. I won’t go as far to make that accusation but if I were on the Sports Illustrated staff I would have advised against that particular photo. Reasonable people can agree that the photo in no way portrays a coach who’s lead his team to three straight conference championships. Just as the photo was used out of context, so was the quote, a discombobulated mix of words and imagery that doesn’t paint the proper picture of the North Carolina Central program to the casual fan. Over the last five seasons, the Eagles have averaged 20 wins and roughly 13 losses each season. Any program that knows in November that 20 wins are on the way and they are more likely to win the conference tournament than lose it, is a thriving program. Since 2014 the Eagles have won four of the six MEAC tournament championships. Moton doesn’t coach fear into is his players because he never had any as a player. He scored 1,714 points during his career at NCCU, which ranks third in school history. He was the player of the year in the CIAA in 1996 and with all due respect he is the modern face of basketball for the University. Lastly Moton grew up in the housing projects of Boston, MA and later Raleigh, NC. There were plenty of things to be afraid of, but an organized basketball game wasn’t one of them. Will North Carolina Central beat Duke? Of course they won’t. No one can even guarantee that they will get past North Dakota State to even play Duke. I’m sure the North Dakota State players are fired up about the Eagles already being penciled in on brackets for the Bull City matchup. Zion Williamson will dunk all over North Dakota State, North Carolina Central and half of the NBA next season. When have you seen Williamson not make the rest of the players look like a bunch of six-year olds? The only thing to stop this phenom so far has been his own inertia blowing out a pair of Nikes. However long the Eagles last in this year’s tournament they will play fearlessly and play hard for their coach. Moton will say all the quirky things to keep the uniniated wondering, “Who is this guy and what’s up with North Carolina Central?” That’s what any good marketer would do with so much free exposure there for the taking. Moton is a smart man, not a scared one.